The Mystique Collection by Samad comes in European non-standard sizes, such as 8ft x 11ft and 9ft x 13ft and are ideal sizes for dining room spaces where you want less width and more length. There is also a wide range of standard sizes available and they can be custom sized for you. Click To View The Complete Mystique Collection Images. 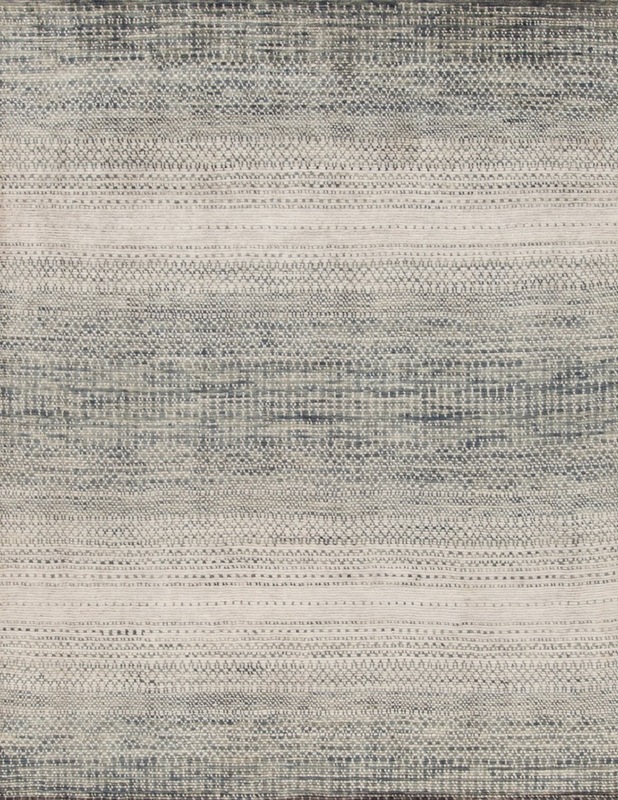 This collection captures the traditional art of rug making in a simple form and easy palette. 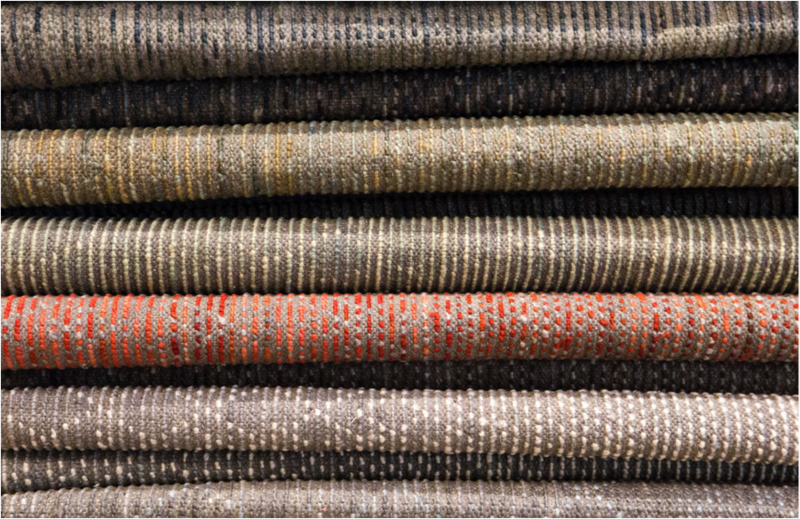 With soft neutral tones this collection makes it easy to bring patterned fabrics into the room. The colors range from rich reds and denim blues, to light silver and charcoal grey with many shades in between. This affordable rug collection uses gradient shades that gradually shift between light and dark tones. From a distance, the transitional design appears solid. However it is actually an organized collection of patterns like lattices, zig zags, squares, and other shapes that blend together and give depth to the rug's tones. Simple and attractive, this collection of quality handmade wool rugs are amazing prices and are meant to take the place of cheap rugs. Wool rugs have the quality needed to withstand staining and heavy use to endure the test of time. 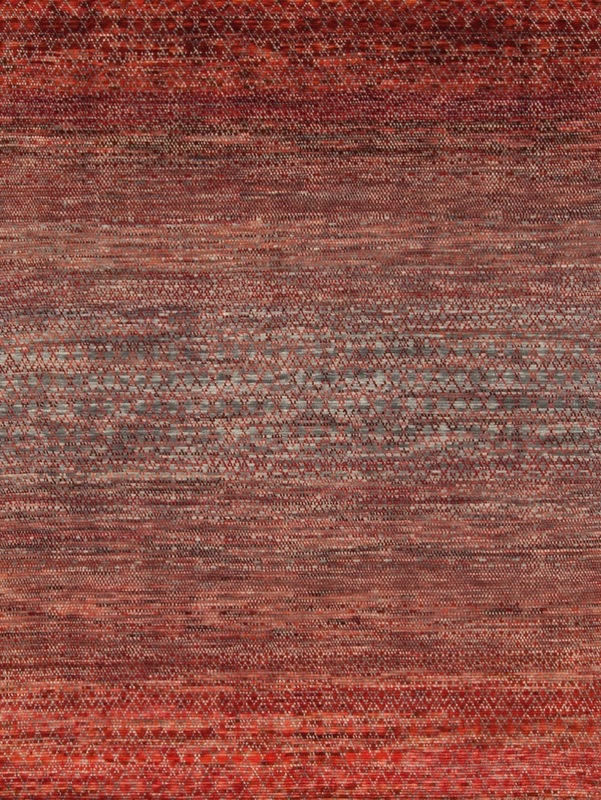 According to the Samad Brothers, David and Malcolm, "These rugs are extremely textural. They are wide-knotted rugs and offer a soft and substantial feel underfoot." We agree. 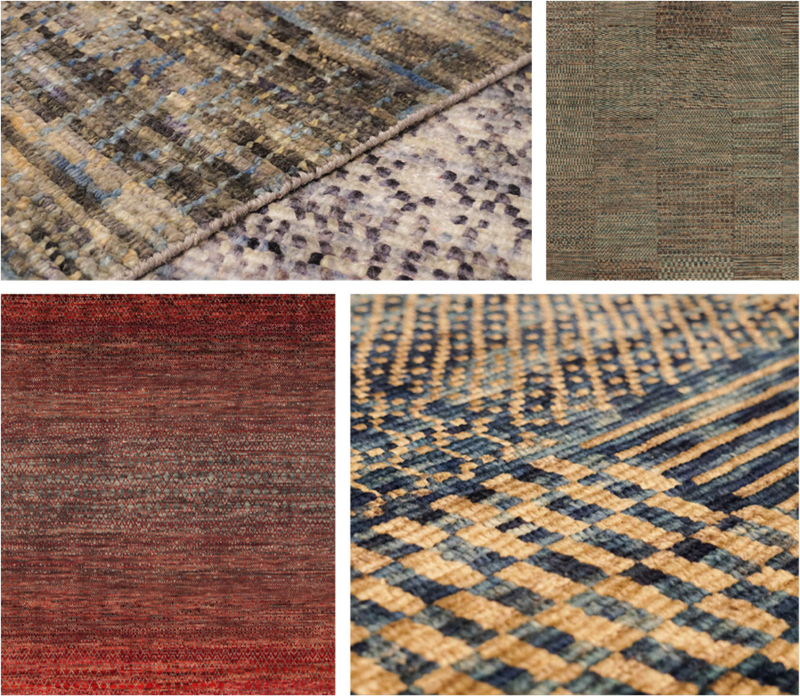 And we are very excited to bring you this new collection of rugs made with integrity. 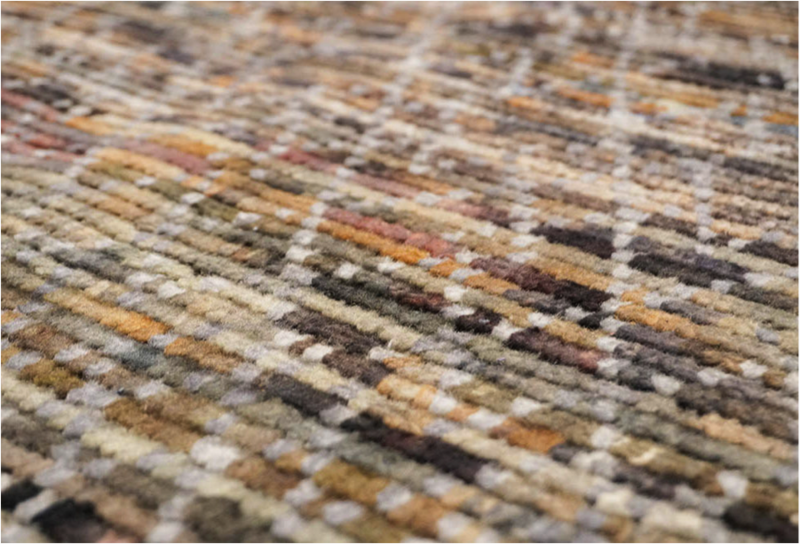 Each carpet is expertly crafted with a thick blend of hand-spun wools from New Zealand and Europe. These affordable handmade rugs have a feeling of plush pile. Each rug is meticulously woven with thick hand-spun yarn that is evenly sheared to a consistent pile height. It is amazing to find such quality rugs at these prices. 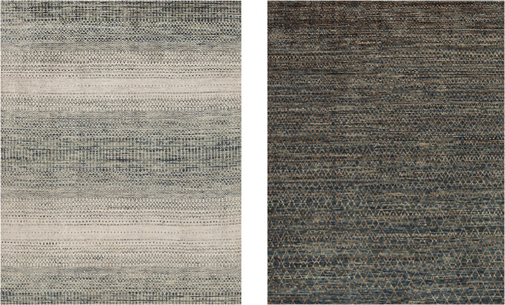 With subtle blended colors and patterns, we believe these rugs will be used in a wide range of rooms. They certainly lend themselves to be placed into the mountain modern interior of many Colorado resort homes. 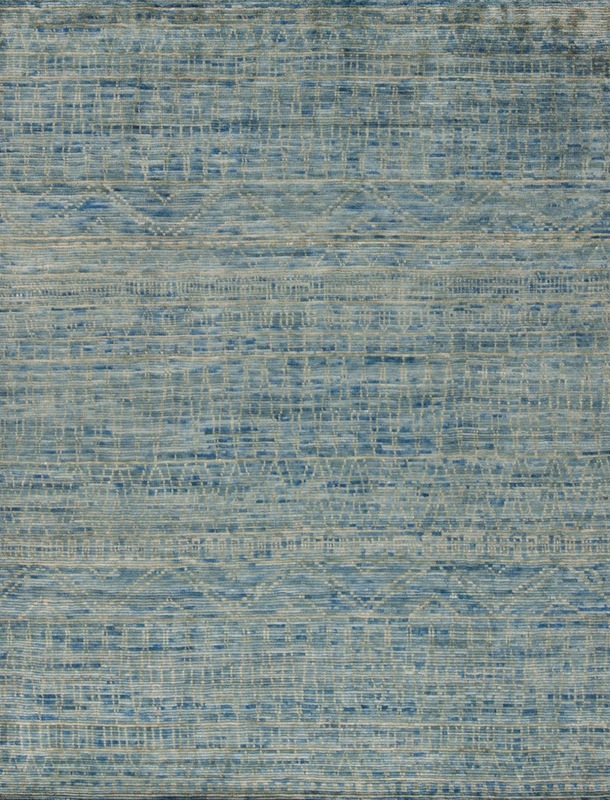 Click here to see The Scarab's current collection of Mystique rugs.